TiSe2 solution consists of monolayer and few-layer thick sheets suspended in isopropanol (IPA) solution. Our process starts from high quality single crystal TiSe2 pieces and ultrasonication process in isopropanol (electronic grade chemical at 99.9999% purity). Our ultrasonic treatment and recipe is specially created to achieve world's first TiSe2 solutions. Our protocols vary the sonication temperature, gaseous environment, sonication power, pulse duration, and pulse dwell times to achieve good quality products without any amophization. 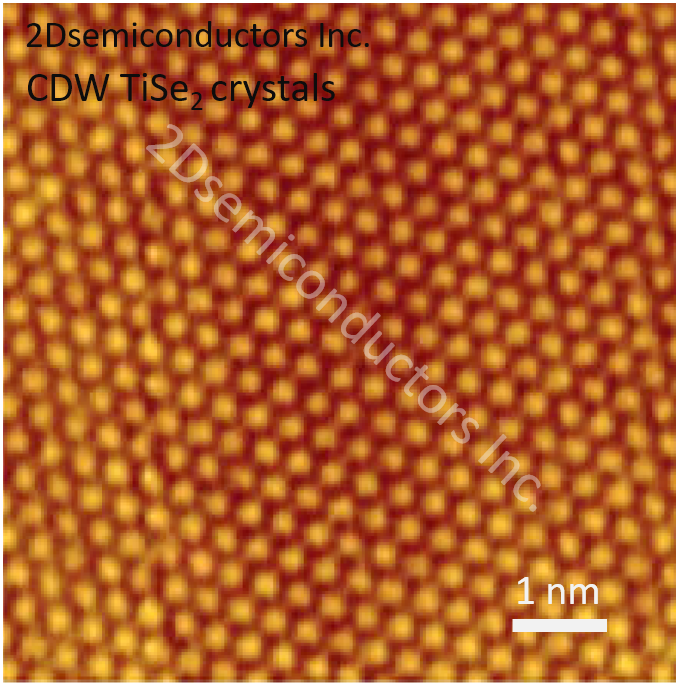 Crystallinity of TiSe2 has been confirmed through electron energy dispersive spectroscopy (EDAX), Raman spectroscopy, and scanning electron microscopy (SEM) measurements. 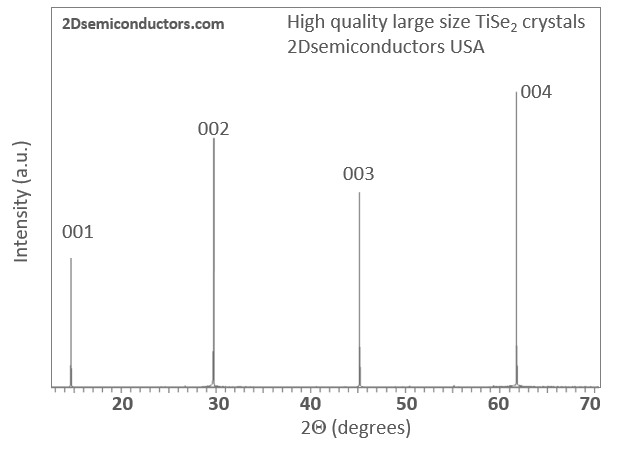 Lateral sizes of TiS2 flakes deposited onto different substrates range from 60 nm to a few microns while thickness range from 1L to thicker sheets. Solution type: By default 2Dsemiconductors USA will provide TiSe2 sheets suspended in isopropanol owing to good dispersion, stability, and high performance. However, if your research requires other solvents, please contact us for more details and schedule for the product delivery. Q2: Are these solutions good for electrical measurements? A: With some reservation yes. Please note that sonicated materials will have higher defect density compared to bulk crystals. Q3: What is the volume of the solution? Q4: Are these 2D solutions consist of 100% monolayers? Q5: How about the solution types?